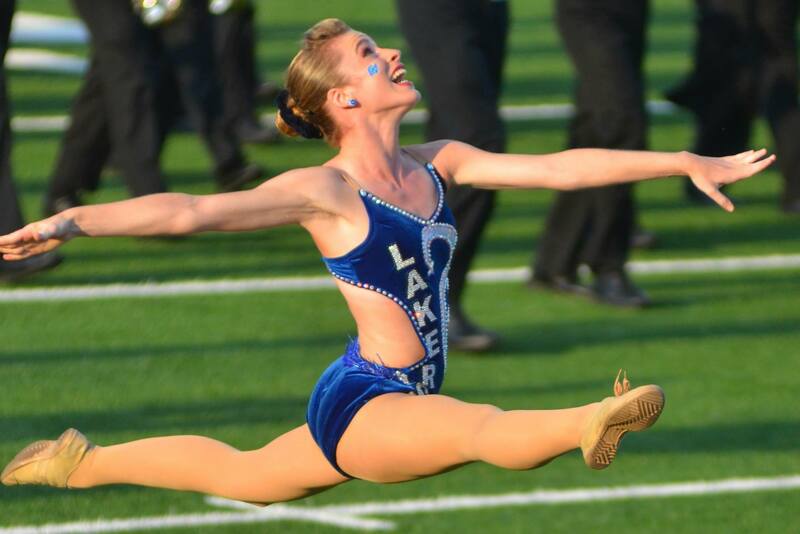 We are so proud to introduce you to our first profile for ‪#‎TwirlerTuesday‬ - the reigning College Miss Majorette of America, Moriah Muscaro from Grand Valley State University and GVSU Laker Marching Band!! 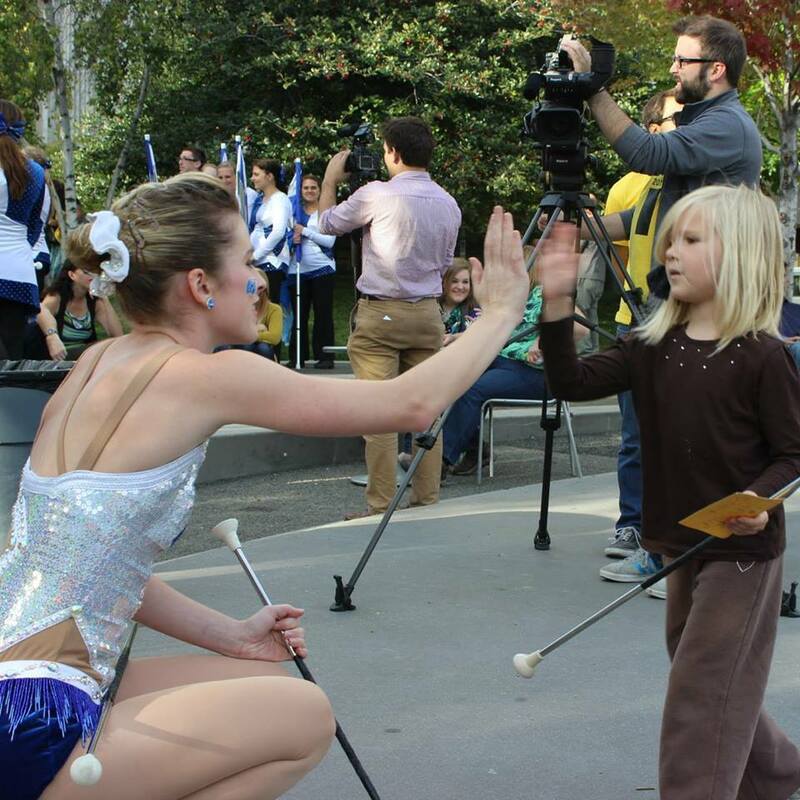 We already mentioned that she has a fantastic story of perseverance and never giving up on your dreams - read and share for all fans of #‎CollegeTwirlers‬ to enjoy! MM: My name is Moriah Muscaro and I am from Walled Lake, Michigan. I graduated in April 2015 from Grand Valley State University (Go Lakers!) in Grand Rapids, Michigan, where I received my Bachelor of Science in Biomedical Sciences. Two weeks ago I started medical school at the University of Toledo College of Medicine and Life Sciences (Go Rockets!) in Toledo, Ohio. I have been twirling for 17 years, starting at the age of 5. My mom got me started twirling, since she and every other female in my extended family twirled at some point. You could say I was born with a baton in my hand. However, I had no natural talent or skills!! As part of the Twirl-M's Baton Group, I spent years practicing before I won anything, but it was during those years that I fell in love with my sport. I loved (and still love!!) the feeling of hard work paying off when I perform to the best of my ability on the competition floor or on the football field. I twirled at Walled Lake Northern High School on the Majorette Line and then I was the Feature Twirler for Grand Valley State University from 2011-2014. I practiced daily for two hours a day during the school year, and countless hours during the summer to hone my skills and master difficult maneuvers and tricks. Once I got to college, that practice was made all the more difficult by the demands of being a pre-med major and applying to medical school. I would go to the gym at 6 or 7am just to fit my practice in before classes, volunteering, and researching. But twirling my whole life taught me to balance school and twirling efficiently, so that I knew how to work ahead and keep my priorities straight. I was blessed and my hard work started to pay off at the end of high school and into college. In 2010, I was named a USA Baton Twirling Ambassador to Peru with 11 other twirlers from North America. In 2013, I was named the World Open Strut Co-Champion, and in 2014 I won the Grand National Collegiate Twirling Championships. I also qualified to represent the United States of America at the World Twirling Championships in Lignano Sabbiadoro, Italy this past April. There, I placed 4th in the world in the Women’s Solo 1-Baton Division. 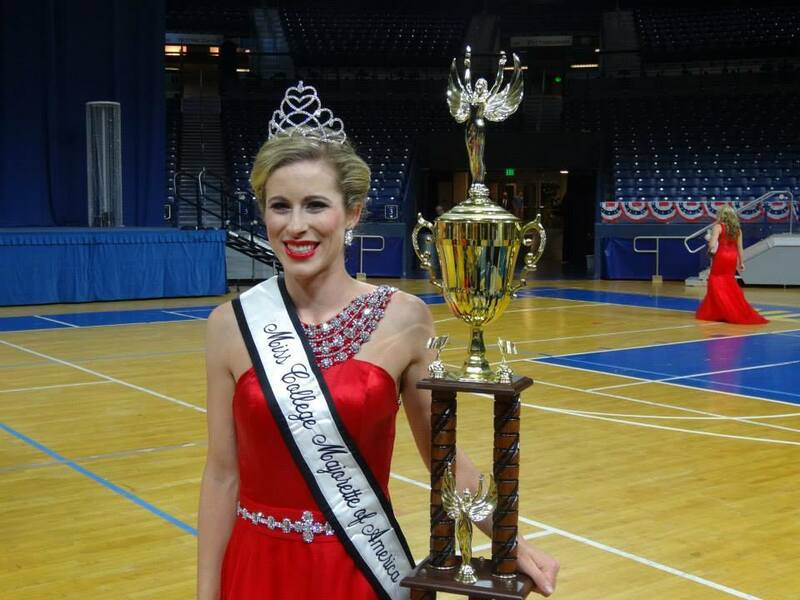 My twirling career finished on July 25, 2015 when in my final competition ever, I won the Senior Women’s Rhythmic Twirl Championship and I was crowned the College Miss Majorette of America. Dreams really can come true!! CMB: What was it like twirling at GVSU? What are some of your favorite memories? 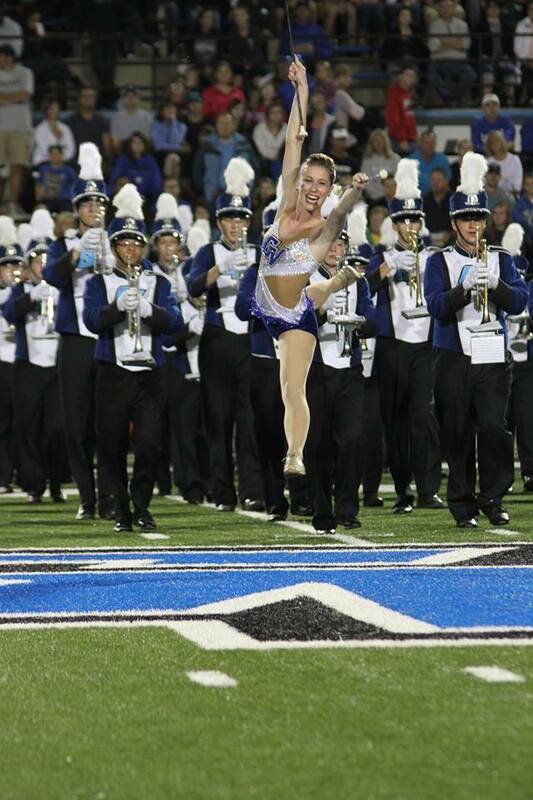 MM: Twirling for four years at Grand Valley State University made up the best four years of my life so far. 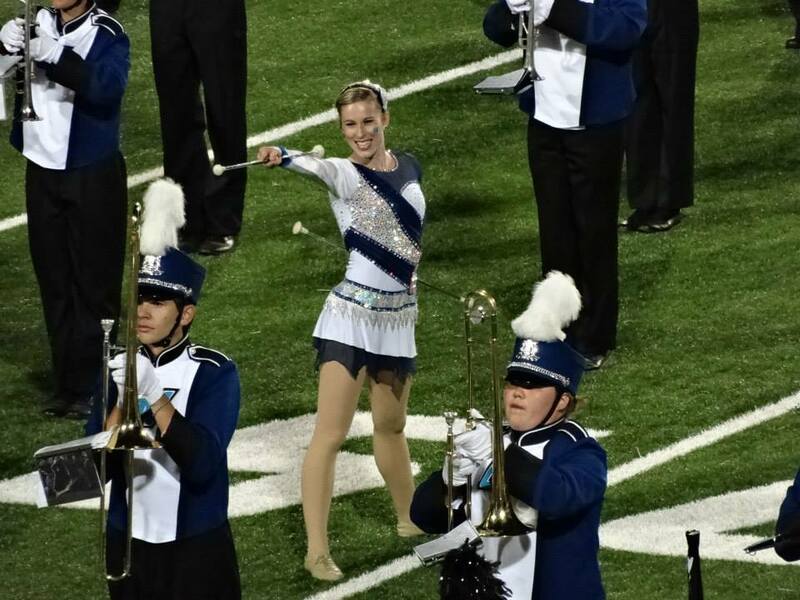 I thoroughly enjoyed every moment of twirling for and representing the Laker nation! Dr. John Martin, Director of Athletic Bands, allowed me to twirl at football and every home basketball game, so the entire 4 years was filled with a lot of fun twirling! I was also fortunate to have had the opportunity to twirl at many fun events, like the first ever GVSU Women's Lacrosse Game, Cheer Competitions, LipSyncs and many more. I may be biased, but my Laker Marching Band just so happens to be the best band in the land, for they support my twirling wholeheartedly. For my final game last November, they spelled out my name and the word “CHAMP” on the field. Needless to say, I was in tears and felt so humbled. The Laker Marching Band is a close-knit family and has blessed me so very much during my time with them. I am already counting down the days to return for the Laker Alumni Band at Homecoming!! I don’t think I can pick just one memory from band camp! They’re all too fun and funny! CMB: Some people aren't aware of what it means to be College Miss Majorette of America - tell us what it took to win the title and then what the next year looks like for you? MM: In the National Baton Twirling Association (NBTA), there is a 3-part event called Miss Majorette of America. This competition is held every year at America’s Youth On Parade at the University of Notre Dame in South Bend, Indiana. Representatives from each state gather together and compete for the national championships. Miss Majorette is composed of a modeling in a gown with interview event to showcase poise, confidence, and interview skills; a strutting event to feature timing, coordination, and flexibility; and a solo event, which for college consists of a 1, 2, 3, and 4-baton routine showcasing twirling you would do on the field. Everyone who competes is so very talented and works so hard to have the opportunity to represent their school on the national level. For me, I really trained for this my whole life. I have been working the past few years specifically to hone in my multiple baton skills and prepare mentally and physically for the competition. After placing first runner up in 2014, I began work right away with the help of my coaches to prepare to give the competition one last shot. However, so many talented twirlers compete, that any one of them deserve to win. I came in hoping to just do my best and trusting God for His plan to prevail. As the College Miss Majorette of America, I will be travelling throughout the year with the Miss Majorettes of America in the younger divisions to different state and regional competitions to perform. I will also be performing locally and at the Grand Valley Homecoming game this year. At nationals next summer, I will perform a send off routine and crown the next champion! CMB: So, when did you know you wanted to be College Miss Majorette of America and tell us what you did to accomplish that dream? MM: My first nationals was in 2004, which was when I first saw the Miss Majorettes of America crowned. I knew then and there that I aspired to be one of them one day. There were countless competitions where that never seemed possible, so I am very thankful to have my dream come true. Hard work really does pay off, and through my winning, I am so excited to share this fact with all twirlers everywhere. I am thrilled for the little girls and boys out there who feel like their dreams won’t come true no matter how hard they work, because I am living proof that hard work WORKS! CMB: What advice do you have for young twirlers considering twirling in college? MM: Follow your heart. Pray for guidance. God will direct you, as He did me, to the perfect home for you. Take the advice of family and friends, but remember to do what is best for YOU! For some people, that is going to a Big 10 or SEC school, and for others that is going the atypical route to a DII or DIII school. Wherever you go, you need to be happy. And most importantly, do NOT pick solely on twirling. You need to wake up every morning happy, content, safe, and pleased with where you are, not because you get to twirl for that school. Remember, academics are what will take you farthest in life, so trust God, study hard, and follow you heart! I’m going to insert a personal plug here and tell all high-school twirlers that Grand Valley is currently looking for their next twirler!! I could talk for hours about how amazing Grand Valley as a school is, and also how kindly they treat their twirler. Plus, the university has set up an endowed scholarship, called the Moriah Muscaro Feature Twirler Endowed Scholarship, that we are currently fundraising for to give a scholarship to our next twirler! If you would like to help support the fund, please message me. If you are a prospective student, apply to the university and I encourage you to send in those audition tapes! CMB: What is one thing you have to do before every time you went on the field? MM: Before a game, I pray. I pray that God will be glorified with my twirling and that all athletes, band members, and spectators would have a safe and fun night! Then, of course, I would give my mom a hug, click sticks with the drumline, and we would be off! Game-time is the best time of the year! CMB: Tell us... what is the one food you can't live without! MM: Chocolate, chocolate, and more chocolate. CMB: What advice do you have for college twirlers today? MM: Enjoy your college years because they go by so quickly. Don’t take one performance for granted and cherish every moment you have on that field. As a first-year alumni, I am already in marching band withdrawals! CMB: What do the next steps look like for you - inside and outside of twirling? MM: As mentioned, I am in medical school, preparing for my first round of exams(!!). I hope to enter a pediatric specialty and combine my love of medicine with my adoration of kids. With twirling, I currently coach for my mom’s baton group, the Twirl-M’s, and I will keep coaching for her and for other groups in the Toledo area. I hope to start up my own group someday. I had such amazing coaches who taught me so much about life, so I hope to be able to follow in their footsteps and give back to the next generation of twirlers! I also will be pursuing getting my judge's license, to further the growth of our sport. CMB: Bonus question - what is one thing that you would like the CMB fans to know? MM: I just would like to thank College Marching Bands for all you do to promote band! Band is a huge community/family and this page unites us all. I love checking in to see all the amazing things bands are doing across America! I would also like to thank my Twirl-M's family, my coaches AnnNita McDonald, Candy Kimball, Joe Rowe, Tiffany Reciosky, and Nancy Apel for all they have done for me to help me reach this dream. Thank you to those who have read this. God’s Blessings to you!